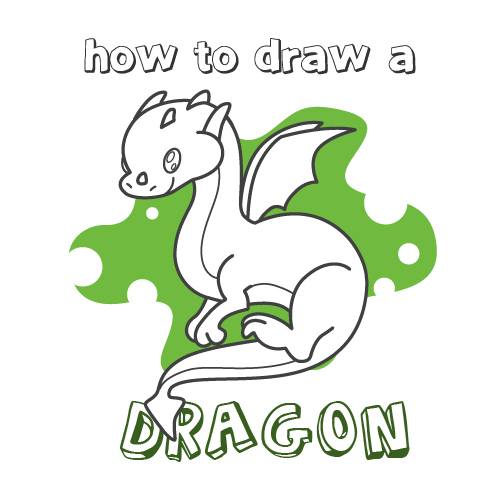 In this tutorial we're going to show you how to draw a dragon for kids. Start with an oval for the head. After that we will create two circles, one for the chest and one for the behind. 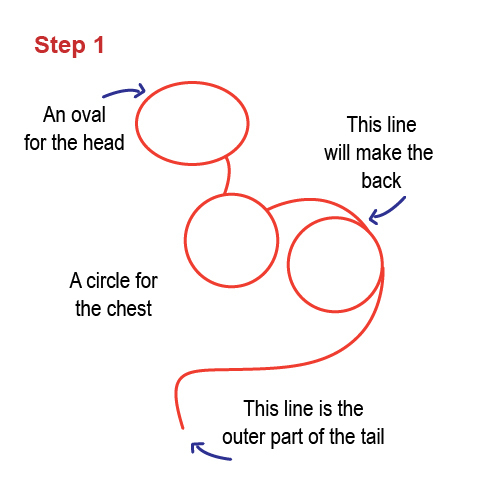 Connect the cirles with lines, one for his neck and the other one will make the back. Lastly, add a long line which connects to the back line. This line is the outer part of the tail. 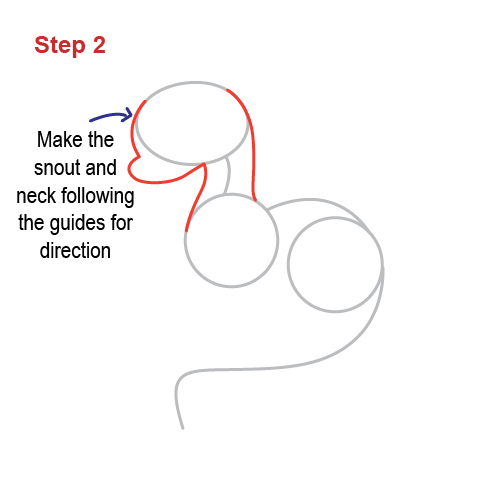 Make the head and snout by following the guidelines for direction. Let's work on the tail. 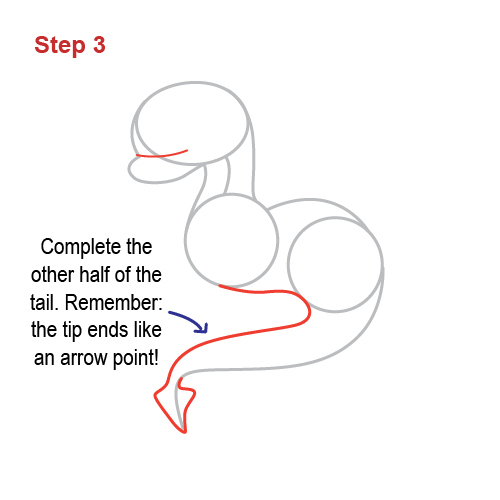 Complete the line to finish the other half of the tail. Remember: the tip ends like an arrow point! We're going to add some detail to the drawing by adding the eyes, mouth and nose. You can draw a big "C" which can serve as the cheek bone. 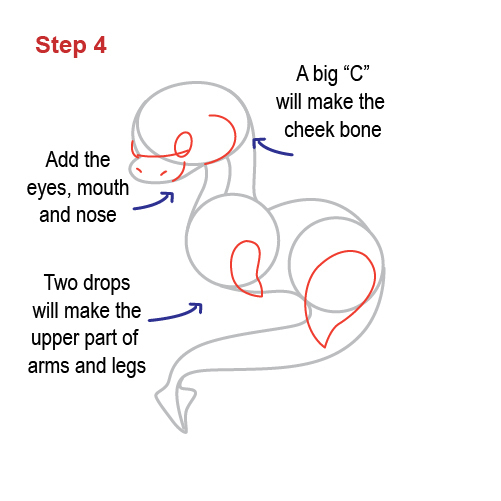 Two drop like shapes will make the upper part of the arms and legs. Add horns to your dragon. You can give it as many as you want! Draw the lower half of the arms and legs. 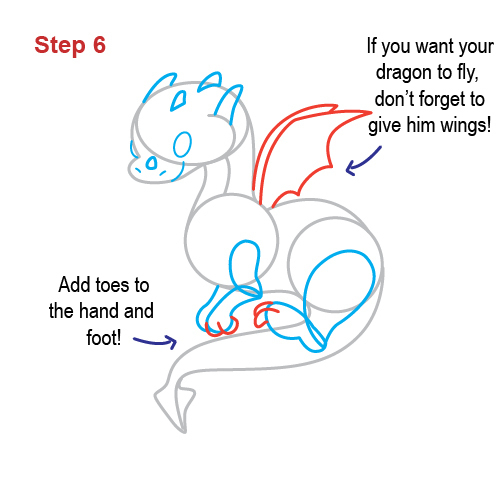 To make our dragon able to fly, we're adding some wings to his body! We're also adding toes to the hand and foot. Almost done! 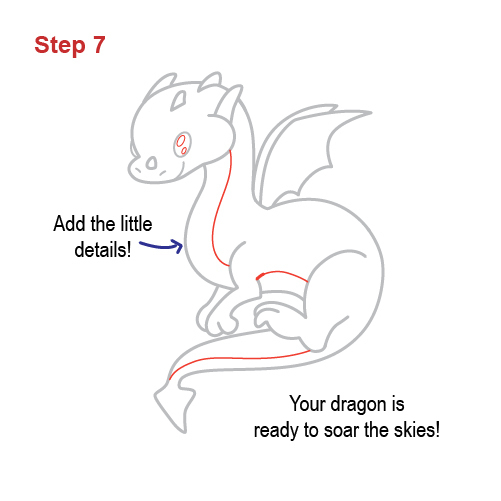 Time to add the final details and your dragon is ready to soar the skies! All done! Time to give your new friend some colors! 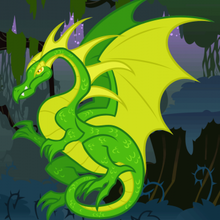 We hope you enjoyed this tutoria on how to draw a dragon for kidsl.